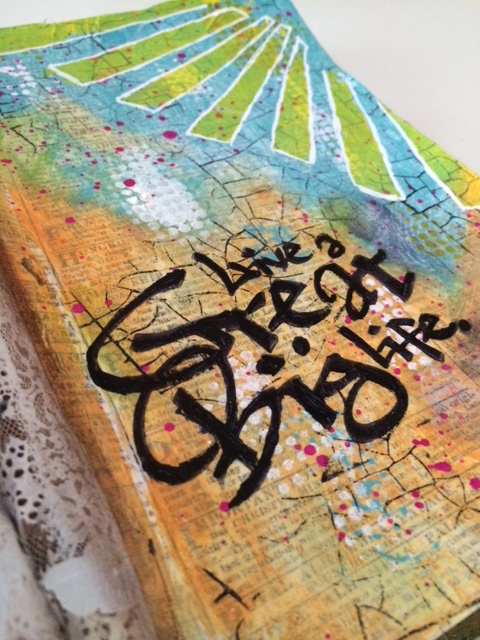 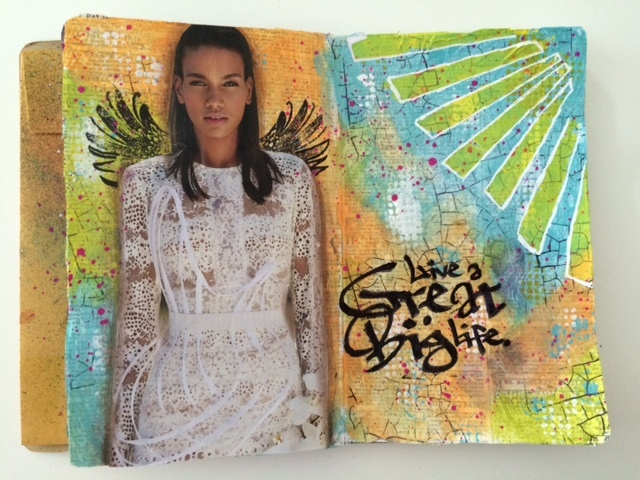 Art Journal Page: Live a Great Big Life! 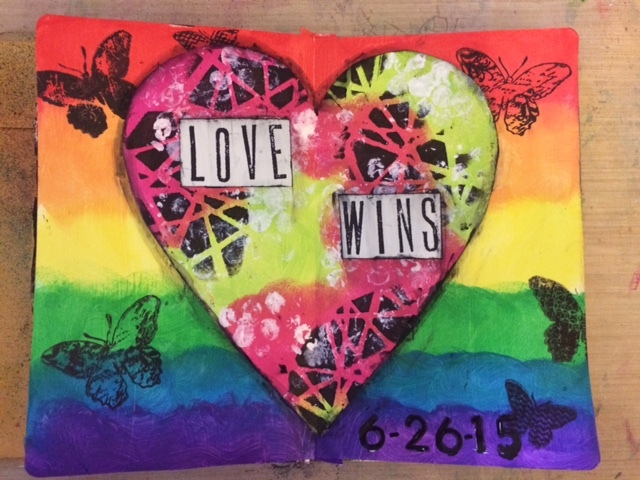 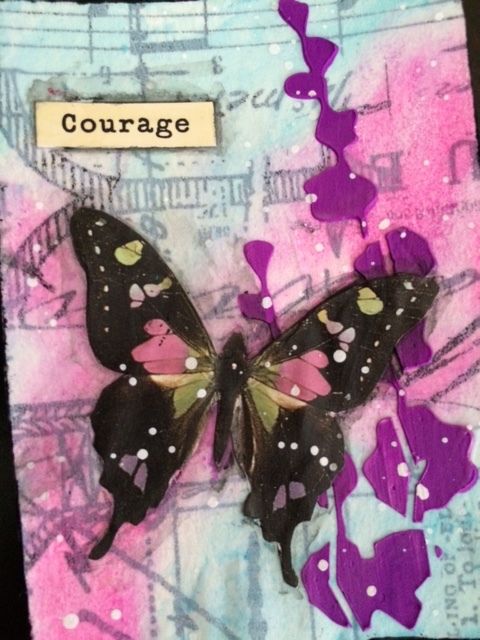 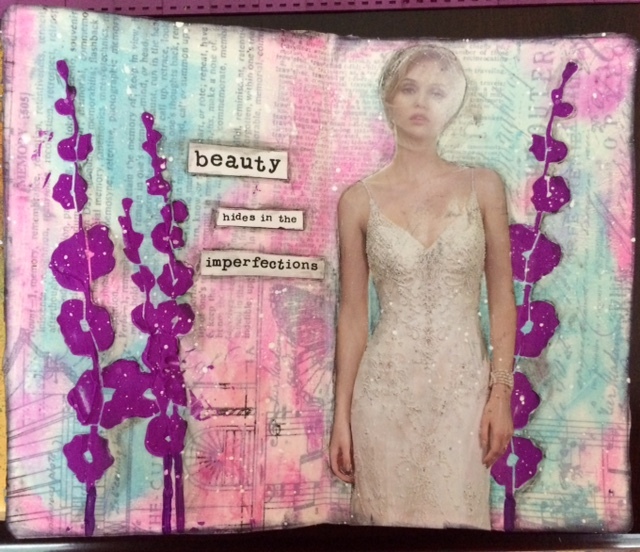 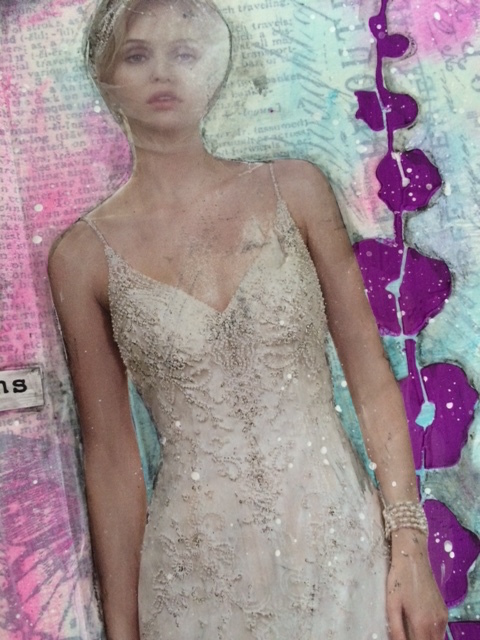 I was recently part of the Lifebook 2015 ATC swap where the theme was "Being Brave/Courage." 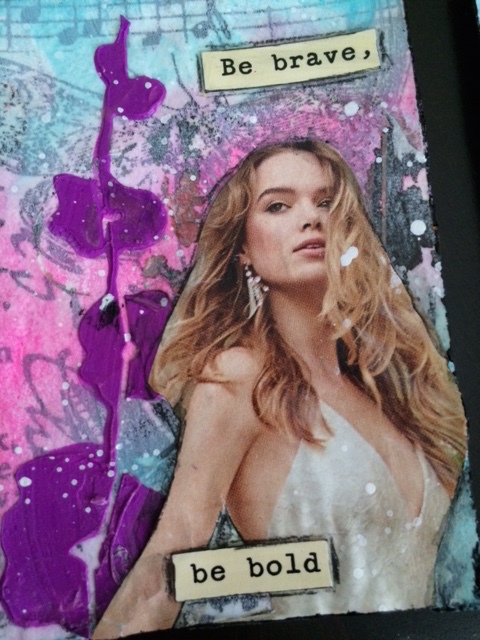 This was the first ATC swap I've participated in, but definitely won't be my last! 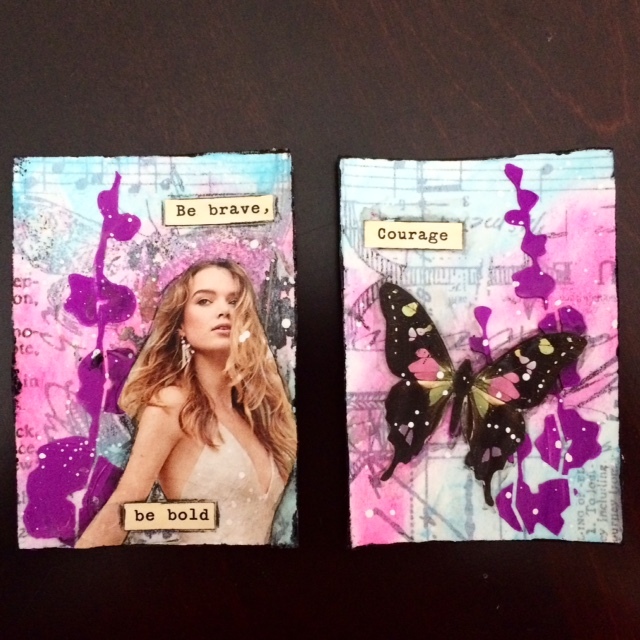 I am having so much fun creating these little works of art, and purposely not letting myself take more than 15-20 minutes with them. 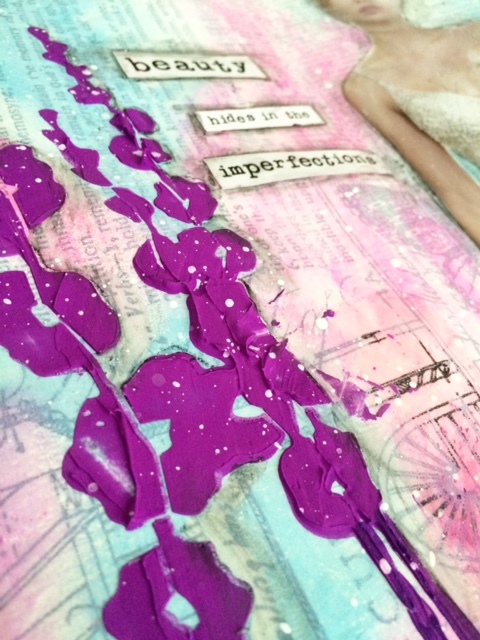 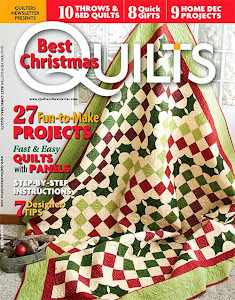 Another great benefit to making these is that they provide inspiration for working on a larger scale, like in my art journal.